Are the Ravens Going to Have to Open the Season on the Road? Since 2004, the opening game of the NFL regular season has typically been held on a Thursday night (unless Barack Obama is speaking that night, in which case they move it to a Wednesday night) and played at the home stadium of the previous season’s Super Bowl champions. For my money, it’s the perfect way to get back to football – you start the season essentially where the last one ended, the Super Bowl champs get to raise their banner and their fans get their moment to scream their lungs out and bask in the post-championship glow one final time in front of the whole country. Not bad! Unfortunately for the Ravens, this tradition is in danger of being broken this year because of…baseball? Frigging baseball? Sadly, it’s true. 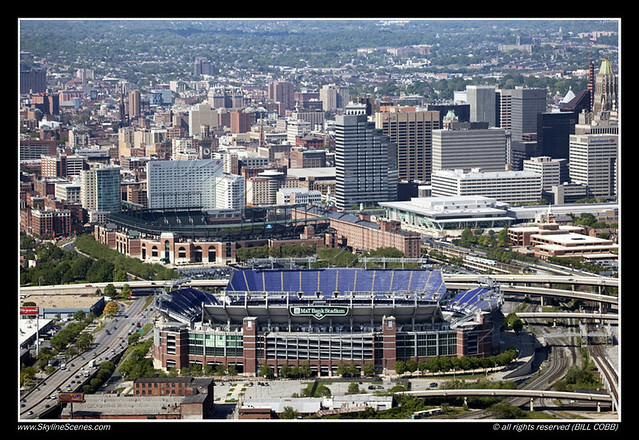 You see, M&T Bank Stadium (the Ravens’ home field) and Camden Yards (the Orioles’ home field) share the same parking lots and the Orioles are currently scheduled to play a home game against the White Sox on September 5th (the night the NFL season is scheduled to open) at 7:05. Leave it to the White Sox to screw everything up, am I right? In any event, the NFL doesn’t want to move the game to Wednesday the 4th because that’s the beginning of Rosh Hashanah (even though the Lions and 49ers played on the first night of Rosh Hashanah last year) and the Sports Broadcasting Act of 1961 prohibits the NFL from playing games on Fridays or Saturdays during the high school and college seasons. So…that basically means either the Orioles and White Sox move their game up to the afternoon on Thursday the 5th or the Ravens have to open the season on the road. NOT COOL. The White Sox would take a broadcast revenue hit and the O’s would take a broadcast revenue and attendance hit. And there is a baseball operations impact. Conceivably both teams could be in playoff contention, so it wouldn’t be fair to them to make them play a day game after both teams played a night game and traveled the night before. We make accommodations in our scheduling in the postseason. We work with the NFL. But this was something that was brought to us as a possibility just three weeks or a month ago. We always want to work with whoever wants to work with us, but why should these teams be punished? Because no one cares about those two teams? Would that be a good enough reason? The Orioles made the playoffs in 2012 and the White Sox were in contention until the last week of the season, but neither team could fill 60% of their home parks on an average night. And according to these articles, the Orioles were watched by an average of 61,200 homes last year and the White Sox about 70,000. Let’s be charitable and say each of those households had three or four people watching the Sox-Orioles game on September 5th. Even with that figured in, you’re talking about 500,000 people at an absolute MAX who have a vested interest in the outcome of that game. Tell me, internet: just how many people watched last year’s season-opening NFL game between the Giants and Cowboys? Overall, NBC averaged an estimated 20.585 million viewers to go with a 12.7 rating/20 share for Wednesday primetime. So there would only be 40 times more people watching an NFL game that Thursday night than local telecasts of a likely meaningless baseball game. No biggie. By all means, MLB, keep the White Sox and Orioles at 7:05 on September 5th! We’ve got to get our priorities in order here. I don’t know if you’ve realized this or not, but NFL owners, by and large, are scum-sucking weasels who make Montgomery Burns look like Betty White and will try to extract every last dollar out of your pocket that they possibly can. Sweeping generalization? Yes. A tough statement to prove in the case of the Packers, whose public ownership would likely to try to buy every cheese factory in the state of Wisconsin if they didn’t have a CFO rebuffing their every demand? YOU BET. I’m going to say it anyway, though, particularly because two news items that appeared late last week support my position pretty well. The statement is for the years ending March 31, 2011, and March 31, 2012. Over the first period, as Richardson argued that the NFL’s business model was hopelessly broken and steered the owners toward a showdown to extract more money from the players, the Panthers recorded an operating profit of $78.7 million. The team had gone 2-14 on the field, but Richardson and his partners were able to pay themselves $12 million. 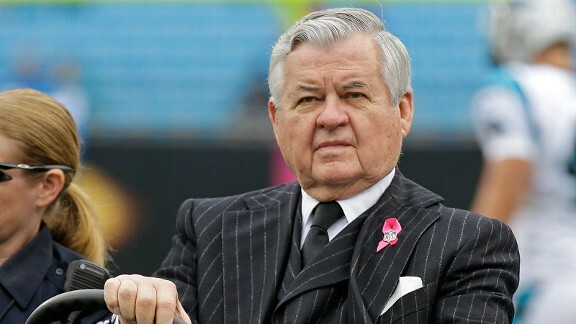 Over the following year, after the owners had won their lockout and reduced the players’ share of league revenue from 50 percent to 47 percent, the Panthers brought in $33.3 million in operating profit. Richardson began lobbying for public subsidies to renovate his 17-year-old stadium. The team went 6-10. So by my crude math, I’d say that’s a profit of about $112 million over two years. Not quite Joe Flacco levels of profit, but not bad, either. And quite a ways off from a negative cash flow of $200 million in any event. Now why would Jerry lie about such a thing when he’s sitting in the proverbial cat-bird seat, as Ken “Hawk” Harrelson might say? Oh, that’s right, I forgot: he’s the devil incarnate. But the money madness is moving on to other owners, too – even ones who seemed slightly less sleazy than the others. Atlanta’s mayor and Falcons owner Arthur Blank have agreed to financing terms for a new $1 billion, retractable-roof stadium to replace the 20-year-old Georgia Dome and keep the team’s home games in the city’s downtown, the two men said Thursday. Mayor Kasim Reed said the city would provide $200 million of construction costs through bonds backed by the city’s hotel-motel tax. The Falcons franchise, owned by Home Depot co-founder Blank, would provide $800 million and be responsible for construction cost overruns. Well, I guess good for Arthur for paying for 80% of this new monstrosity himself, but it bears repeating that THE CITY OF ATLANTA WILL BE PAYING TWO HUNDRED MILLION DOLLARS TO HELP REPLACE A STADIUM THAT IS TWENTY YEARS OLD. I mean…that’s crazy, right? I’ve never been particularly enamored with the Georgia Dome and it’s certainly not on the cutting-edge technology-wise after Jerry World became the new home of the world’s largest television screen, but it can’t be out of date, either. Technology doesn’t change that much in twenty years. Further, it’s worth pointing out that the people of Georgia completely paid for the construction of the Georgia Dome back when it was built in the early ’90s. You would think after making your fans spend $214 million for something, you’d at least wait a couple generations before asking for that again. Apparently not, however. The lesson, as always: NFL owners are completely and solely in this thing for the sake of printing as much money as they possibly can. THAT, my friends, is the biggest issue that’s going to face the NFL going forward and not player safety. Eventually, we’re going to figure out ways to make the game safer and better protect the athletes who play it. We’d be complete idiots not to. But greed? Greed is one of those things that’s been around forever and is impossible to eradicate once it takes hold in an institution.